Operatic engagements have taken him to renowned venues and festivals such as Salzburger Festspiele (COSI FAN TUTTE/ Guglielmo), Theater an der Wien (MESSIAH/ Bass), Hamburgische Staatsoper (RADAMISTO/ Tiridate), Handel Festspiele Halle, Bregenzer Festspiele, Tokyo, Los Angeles, or Moscow Bolshoi Theatre (DIE ZAUBERFLÖTE/ Papageno), and in 2011 to Oper Köln for his first staged Wozzeck. 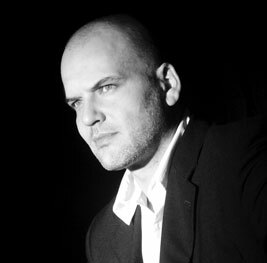 During the past years Florian Boesch has also frequently worked on the fields of lieder and has been invited to the Wiener Musikverein, Wiener Konzerthaus, London Wigmore Hall, Concertgebouw Amsterdam, Schubertiade Schwarzenberg, Philharmonie Köln, Palais des Beaux-Arts Brussels, as well as to numerous festivals in Germany, England, Ireland, France, Italy and Spain. Boesch`s most recent CD with works by Carl Loewe has been released in May 2011 (piano: Roger Vignoles).